These are three way, two position shear type seal valves. 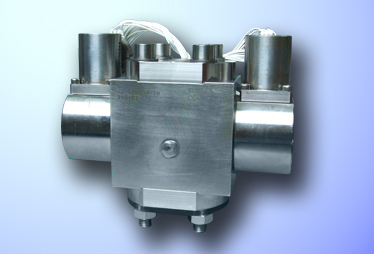 They operate by electrical pulse to electro-hydraulic Pilot Solenoid Valves which select between two hydraulic supplies. All materials are resistant to corrosion from sea water (Sea Water Tolerant).